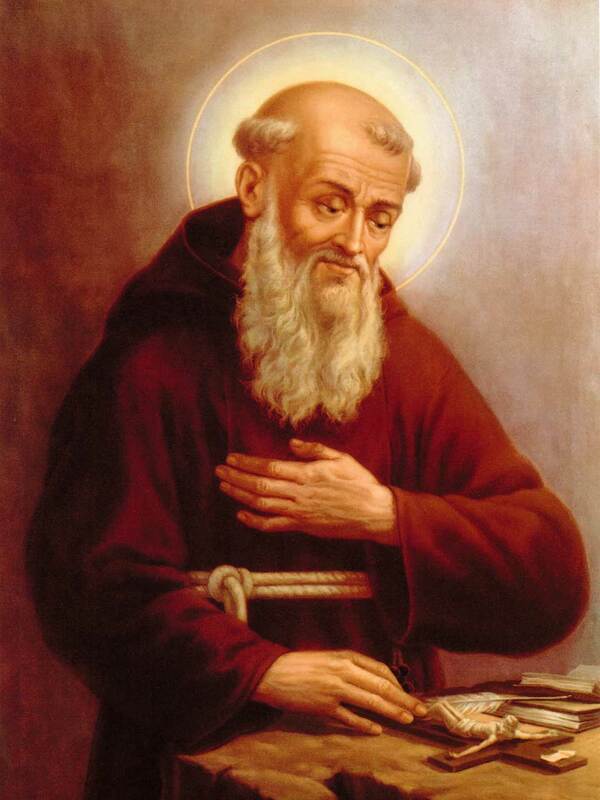 Joseph Desideri (baptized Eufranio) was born on January 8, 1556 and joined the Capuchin Friars in 1572. He was noted for the purity and austerity of his life. He was willing to sleep on a board with a wooden block as a pillow and eat only the most meager food, often spoiling its taste with ashes or water. Joseph denied his physical wants to obtain his spiritual needs and he did so with joy. In his zeal for the faith he went to Turkey where he was taken captive and tortured, but surprisingly he survived and escaped. He returned to his native land and labored with great success as an untiring preacher-one who worked hard for the conversion of sinners. The Lord favored his ministry with abundant gifts. He died at Amatrice on February 4, 1612. He was beatified by Pope Clement XII on June 22, 1737 and was canonized by Pope Benedict XIV on June 29, 1737. Almighty God, you made Saint Joseph an illustrious preacher of the gospel. Through his prayers inflame us with love and zeal for souls that we may serve you alone. We ask this through our Lord Jesus Christ, your Son, who lives and reigns with you and the Holy Spirit, one God, for ever and ever.